MINIs can be customized with a wide array of options, from Union Jacks on the roof to checkered flag decals on the side mirror caps. Most MINI Coopers don’t stay “base” for very long and in true German style, the bill can rack up quickly with all these tempting nick nacks. However, if you can ignore the temptations and opt for only the essentials, then you may want to check out the base model MINI Cooper 3 Door, a relatively affordable entry-level gateway to the premium brand. 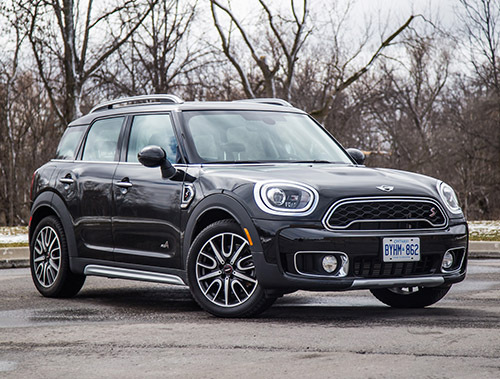 The Cooper is also a stellar beginner’s car for those who want to learn and practice driving with a manual transmission, as I shall soon explain. 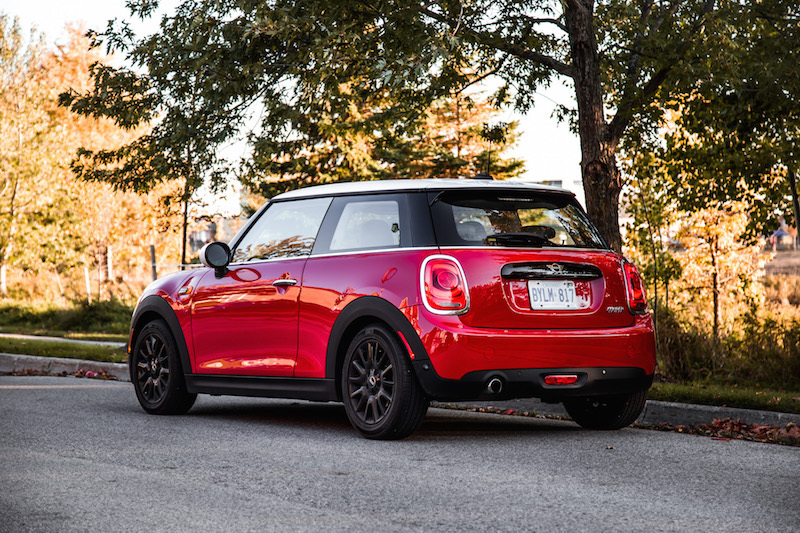 The MINI Cooper 3 Door starts at an attractive $23,090 and mine is spec’d out to be just over $25,000. There aren’t many premium hatchbacks you can buy at that price, and this one is oozing with character and personality. It is also blessed with an adorable Chili Red paint with a white roof and white stripe running down the hood. Cue the theme song for the Italian Job. All that it’s missing are some rally lights hooked up to the front grill, then I would call this spec perfect. 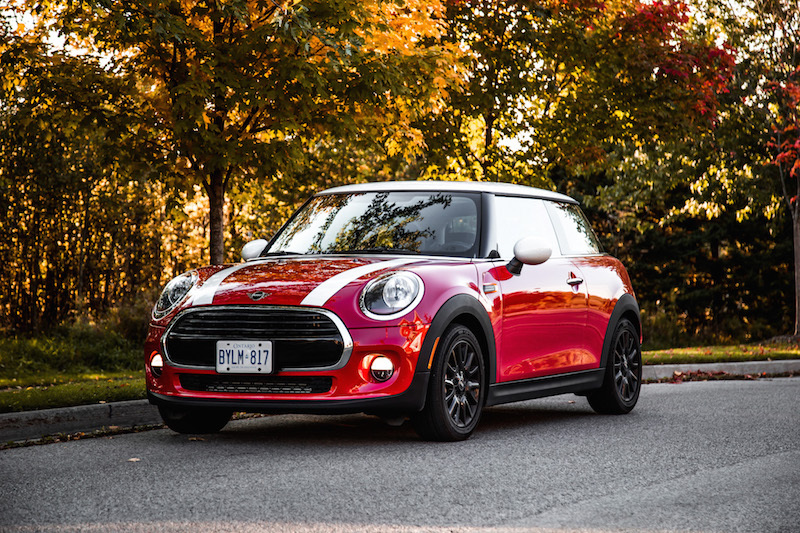 And the MINI certainly looks more appealing than a similarly priced Volkswagen Golf, Hyundai Veloster, Toyota Corolla Hatchback, or Ford Focus. Oh, and they’ve changed up the MINI logo for 2019 too. Inside may appear like a spartan affair with plastic panels running rampant but the MINI pulls it off with more charm than its competitors. 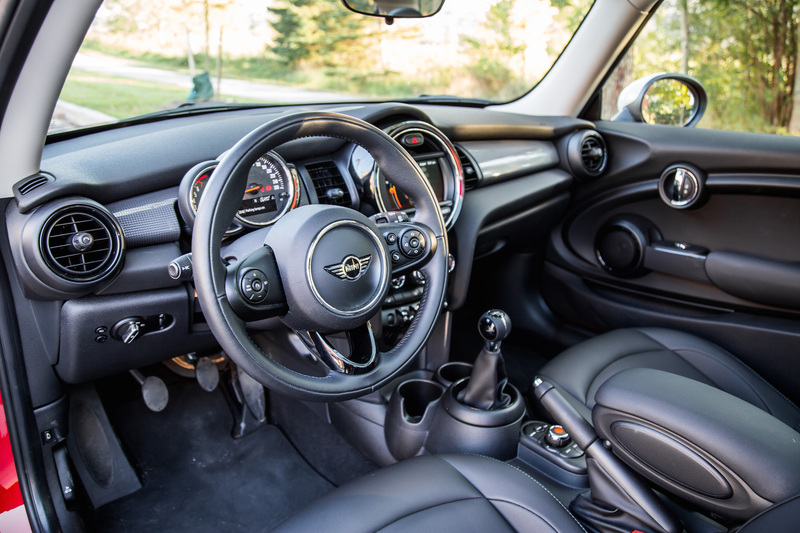 The Cooper receives the same handsome steering wheel design as other models, as well as a large center infotainment display. 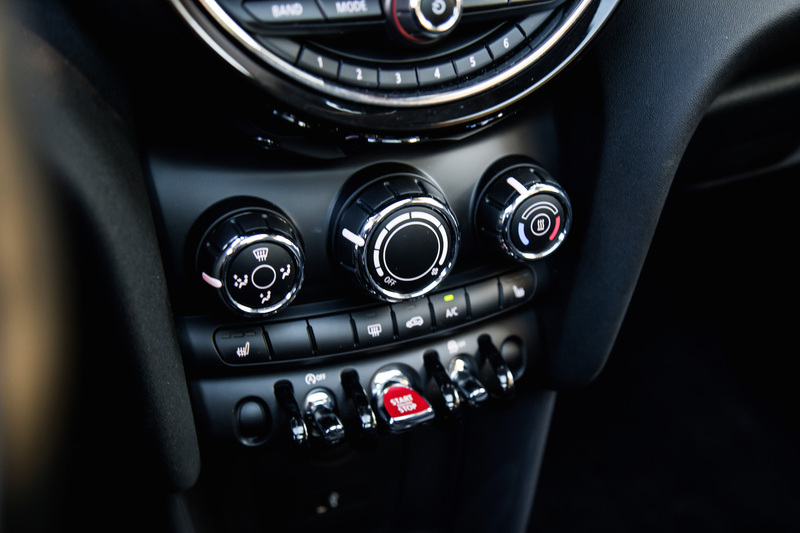 For 2019, the MINI is equipped with slightly redesigned buttons on the center stack and rotary dial as well. It is a three-door hatchback but the rear seats are surprisingly roomy. The roof that does not slope down after the C-pillar so that helps with headroom. Don’t expect a six-foot adult to want to sit back there for extended periods of time, though. For those that need the extra space, look at the MINI Cooper 5 Door variant that costs $1,300 more. The MINI Cooper is a great beginner’s car for those trying to learn manual because of its friendly clutch pedal and lenient powertrain. This MINI doesn’t punish you for being in the wrong RPM when changing gears, nor will it stall very easily - the latter of which will hopefully quell beginners of their worst fear: stalling in the middle of an intersection when making a left turn on a yellow. 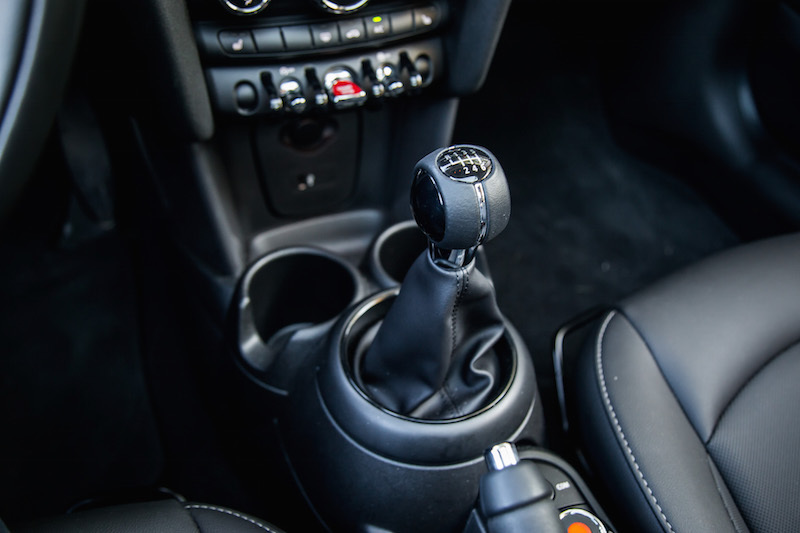 The clutch pedal has a predictable and linear feel without much dead space, and finding the bite point becomes muscle memory within a few drives. It doesn’t require much leg strength either to depress. Possibly the biggest advantage it has is the auto rev-matching feature: when downshifting say from fourth to third gear, the engine will automatically rev to the optimal RPM so there is no need to heel and toe. It’s a great way to transition into driving stick-shift when you have this guardian angel watching your revs. 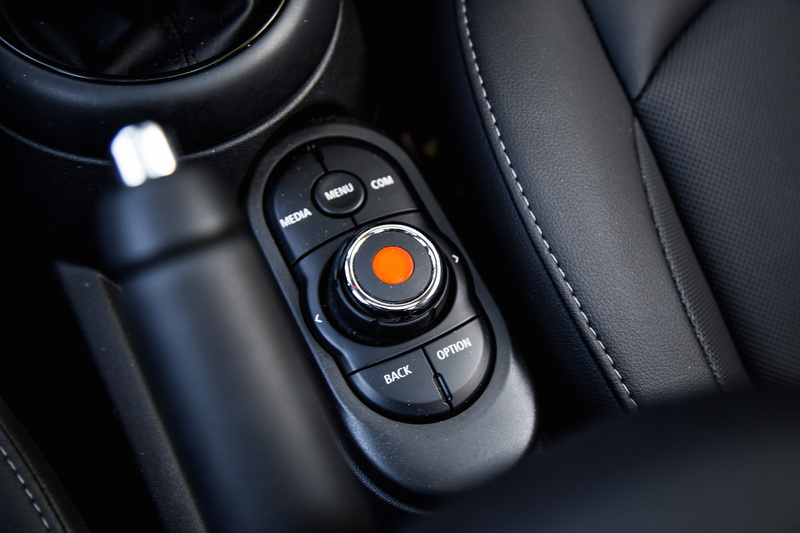 Simply clutch in, shift into the desired gear, and the system will do the rest to ensure a smooth and polished exchange. It’s like driving on easy mode. Passengers will think you’re some kind of pro. On the flip side, there is no way to turn auto rev-matching off, but you can still rev-match yourself as the system will only kick in once you’ve physically slotted the shifter into the desired gear. 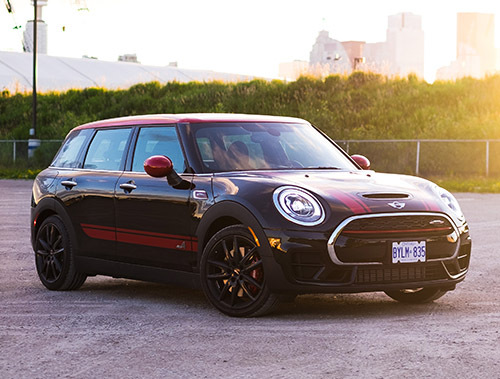 The MINI Cooper is equipped with a turbocharged three-cylinder engine and it’s a perfect companion for this six-speed transmission. Though it needs a bit of wind up to get the boost going, it is plenty potent for beginners and enough to consider it fun to drive on a back road. This motor punches out 134 hp and 162 lb-ft, the latter of which is delivered from as low as 1,250 rpm. 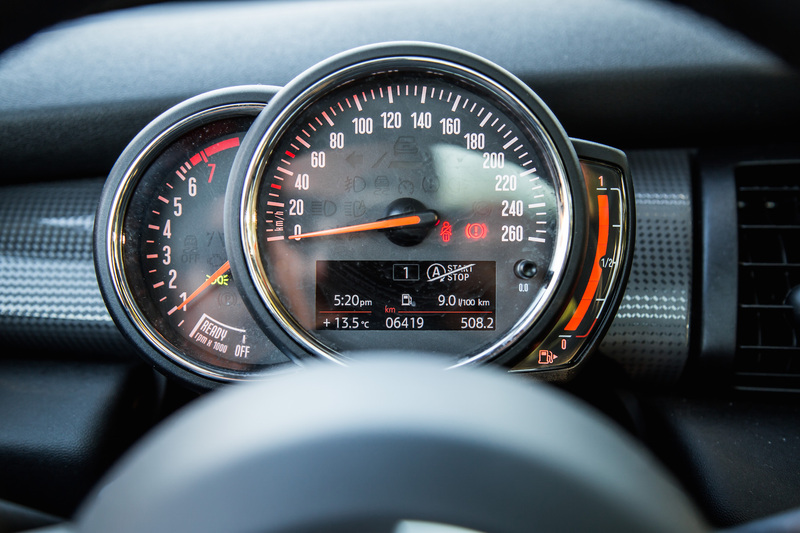 That’s enough to propel this MINI from 0-100 km/h in 7.8 seconds. You have to remember that this is a small hatchback, so it doesn’t need much juice to get the ball rolling. The Cooper drives incredibly well too thanks to its small wheelbase and rigid frame, and is enough to keep you coming back for more drive time. 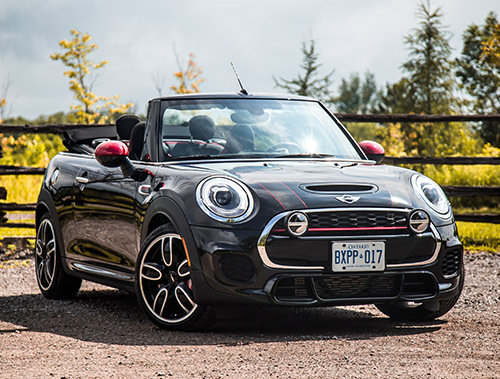 If you have the means, opt for the Cooper S with its larger turbo-four motor for $4,300 more, but it’s definitely not a necessity. The three-pot will be enough for most casual drivers. On a side note, there is no selectable Sport Mode on this Cooper. And while the gear shifter does require long throws to get it into the slot, it slices through the gates accurately and without confusion. There’s even a small digital readout on the gauge display that tells you what gear you are currently in, and advises you whether it’s optimal to upshift or downshift based on the current driving situation. That obstructive center armrest does get in the way when wrestling the shifter however, and the armrest doesn’t retract down or back far enough for me to have enough elbow room. 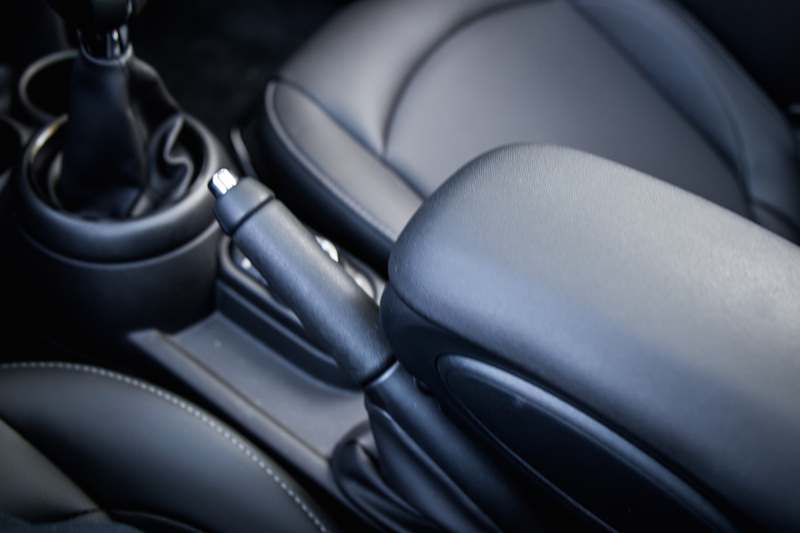 I wish it was detachable somehow, as even pulling up the handbrake requires the armrest to move. Now it’s hard to argue with a $25,000 price tag for a MINI but there are some elementary sacrifices to be made. Stacked up against the competing hatchbacks, the MINI Cooper isn’t going to look like much value either. But such is the premium for its badge, dazzling list of available options, phenomenal fit and finish, and go-kart driving experience. That being said, there is no automatic air conditioning, so you will have to adjust the dials yourself to keep the cabin in the optimal temperature. 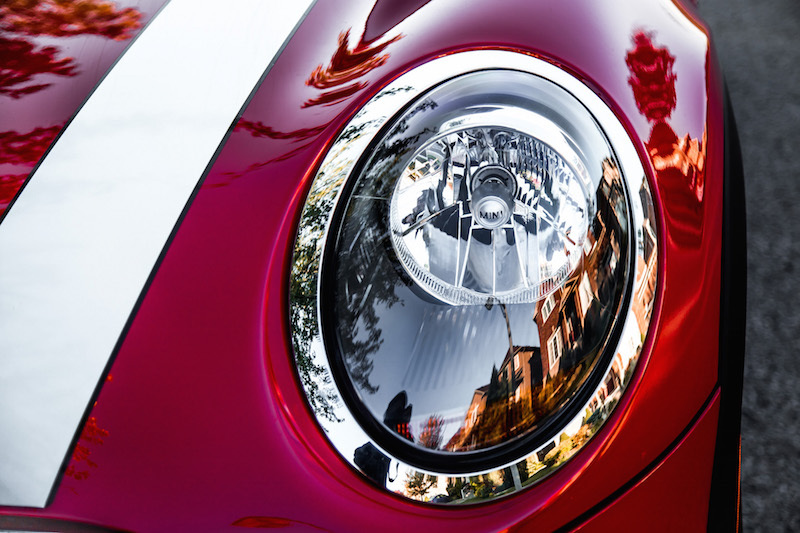 There are no automatic headlights either, so you will have to manually turn the halogen lights on or off as needed. LEDs are optional. I know it sounds odd because these are creature comforts that weren’t heard of just ten years ago, but such is the expedited path of technology and innovation. 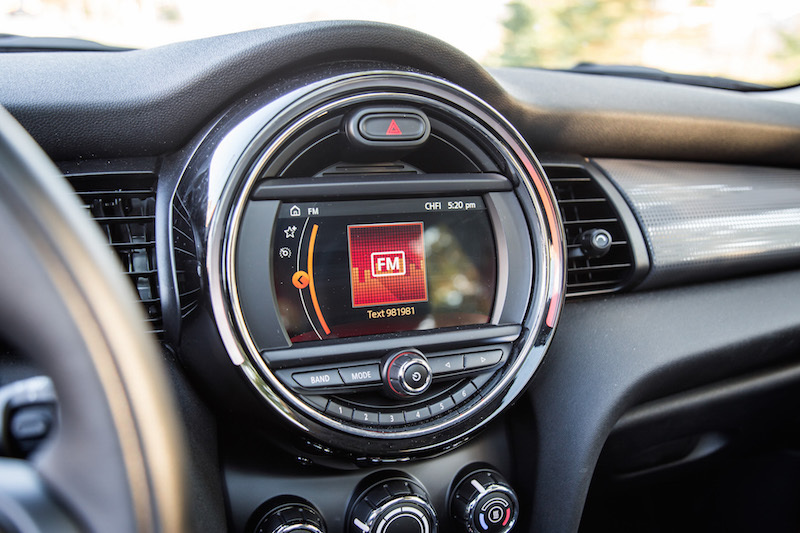 Luckily, the Cooper does come equipped with many notable standard features like Bluetooth connectivity so you can hook up your smartphone to listen to music and answer phone calls via the car’s speaker system. You also receive a 6.5-inch infotainment display that is controlled via a rotary dial perched underneath the gear shifter, though a new 8.8-inch screen is available at extra cost. If you’re in the market for a small hatchback, and prioritize value and practicality over all else, by all means, head to your nearest Volkswagen dealership and check out the Golf. It’s one of our favourite hatchbacks that drives as well as it looks. 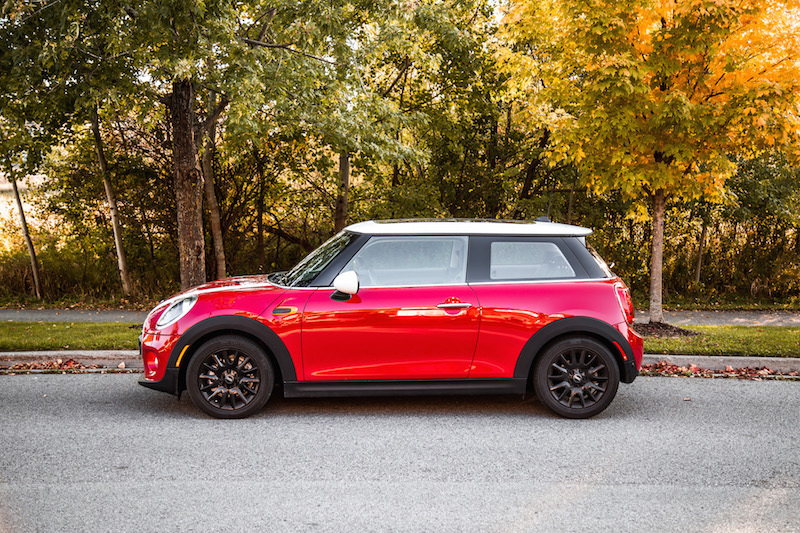 But if you want a hatchback with a bit more character, more customizability, a wider array of options, and a proper powertrain with a friendly manual transmission, then don’t look further than the MINI Cooper.